We are now a certified AIS Penn Hip clinic. Visit this link to learn more about this radiographic procedure to test your dog for canine hip dysplasia (CHD). This test allows us to find out your dog's hip laxity in order to help predict the future chance of your dog developing canine hip dysplasia (CHD) and arthritis. If your dog is identified to be at risk for CHD, Dr. Sexton can recommend, at an early age, appropriate strategies (diet, medication, and/or activities) to delay or diminish the ultimate course of the disease. Visit K-Laser USA website to learn more about Laser Therapy. A credit card for my pet? Well, yes, for his healthcare needs — and yours too. You can use the card over and over either for follow-up visits with your veterinarian or to pursue the pet dentistry you've wanted. Whether it's an everyday checkup, or an emergency surgery, we offer you convenient monthly payment options, so you can worry about the important stuff. You know, like playing fetch and learning new tricks. 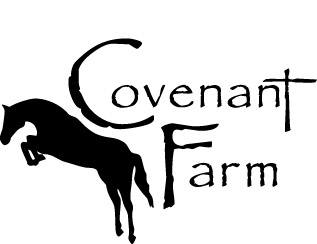 Covenant Farm is home to German certified Trainer Gwen Swanbom. They are centrally located in the Piney Hills of North Louisiana. Their goal is to provide both horses and riders with a solid foundation in classical dressage, along with furthering their careers in Dressage, Show Jumping, and Hunters. They welcome the serious competitor, as well as the recreational rider. 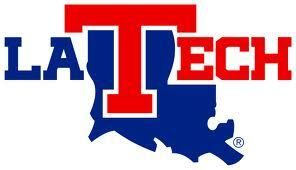 Louisiana Tech University offers the most comprehensive agricultural sciences program in northern Louisiana. Bachelor of Science degree programs are offered in Agricultural Business, Animal Science, and Agriculture Education. All products offered at Tech Farm are produced and/or processed by the Department of Agricultural Sciences at Louisiana Tech University. Tech Farm has been selling its products to the general public since 1977. We strive to provide our customers with quality products and friendly service. Petfinder is an online, searchable database of animals who need homes. It is also a directory of more than 13,000 animal shelters and adoption organizations across the U.S., Canada and Mexico. Organizations maintain their own home pages and available-pet databases.